I want the Formidable Form data to be filled in some fields of a multipage PDF (8 pages). Is this possible with the pro version? Or can i only map the data to a one-page PDF? 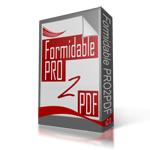 You are able to merge data to multipage PDF forms with both the free and paid versions of PRO2PDF.